What is Flex Face Signage? 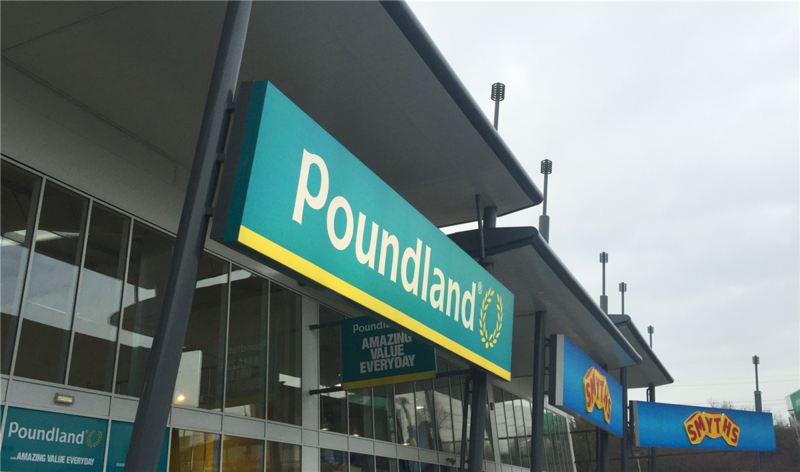 Flex Face Signage is a type of system that is typically used for outdoor sign applications such as retail parks, shop fronts and other large customer facing signage. 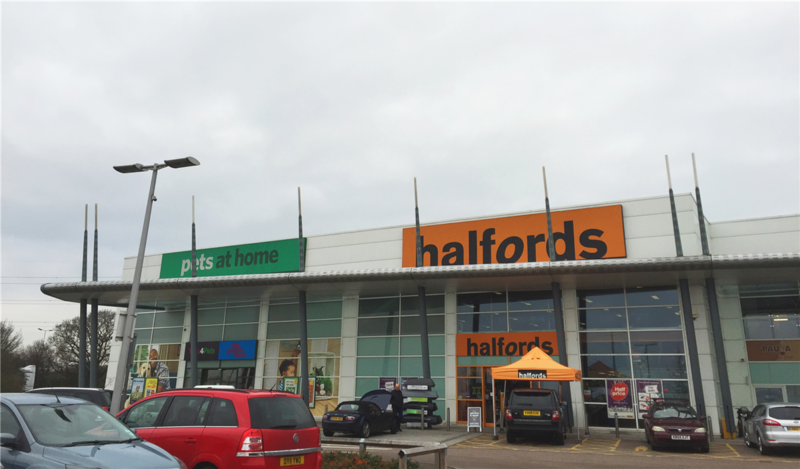 The name ‘flex face’ derives from the primary feature of the system; a tensioned flexible PVC banner substrate that stretches across the face of the sign to create something that resembles the skin of a drum. Flex faces are commonly referred to as “skins” within the industry. The main benefits of using flex over rigid materials and media is scalability and safety. You can print on a much larger scale with PVC as opposed to acrylic or composite panels. Additionally, you can ‘weld’ PVC prints together to create an even larger print that is seamless once installed - something that cannot be achieved with rigid substrates. The SignComp Systems are guaranteed against blowout which should be a great comfort in times of inclement weather conditions and high winds. Another benefit of using flex is that transportation to site and stocking of printing media is far easier due to its ‘flexible’ nature. With our SignComp Clip System, installation is a breeze with no need for rods, hooks or eyelets - you simply attach our famous black clip to your printed/decorated skin and click into the frame. The boxes themselves are made from aluminium and are extremely robust and durable. With different depth profiles available within the range and internal structures to compliment them, it is common for external flex signage to be in situ for decades with the skin alone being changed on a regular basis. Flex Face Light Boxes are the deeper of the two systems with the extra depth facilitating the installation of internal illumination to light up the decorated skin from behind. With the PVC skin material specifically manufactured to be translucent, you can easily illuminate the signs graphics, allowing you stand out from the crowd. Whereas square or rectangular ‘box’ systems are usually the preferred choice, our Econoflex and Retro Systems can also be manufactured to create many other shapes, including lettering, to make your project stand out from the crowd. Completely outdoor and weather resistant – Water resistant guaranteed against blowout. PVC substrate material perfect for larger scale signage and ease of transportation. Light but very robust aluminium profiles for longevity of your signage. Custom shapes, sizes and metal colour finishes possible. Illuminate your signage with energy saving, environmentally friendly, LED modules. Our non-illuminated fascia frame system is extremely popular, and consists of only 2 elements, the frame and the clip-on cover. The non-illuminated system is much slimmer with a depth of only 30mm and is fixed straight to the wall. This type of flex sign is extremely robust, in fact it is the strongest in the signcomp range. Non-illuminated flex signs have been used all over the world, in a wide range of applications, from airports through to football stadiums – a perfect solution for a large-scale sign that does not require illumination. Where can Flex Face Signs be Installed? Whether you opt for an illuminated or non-illuminated, SignComp guarantee to have a system to suit your application. SignComp Europe is the leading choice for Flex Face Signage Systems on an international scale, being #1 in its genre for over 20 years. Whether working with your local sign maker or multi-national branding companies, we can provide a range of systems suitable for creating signs of any and all designs. If we don’t have what you require, then we will produce it for you within 6 weeks.